Sungai Kim Kim in 2012 (left) and 2017. 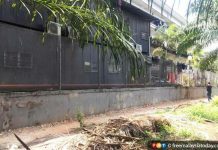 Both photos were taken from the bridge to the Tanjung Langsat commercial area. PETALING JAYA: The Johor Malaysian Nature Society (MNS) has urged the government to conduct immediate studies on the severity and long-term effects of the toxic pollution at Sungai Kim Kim in Johor, which has seen nearly 2,000 people affected by the fumes so far. 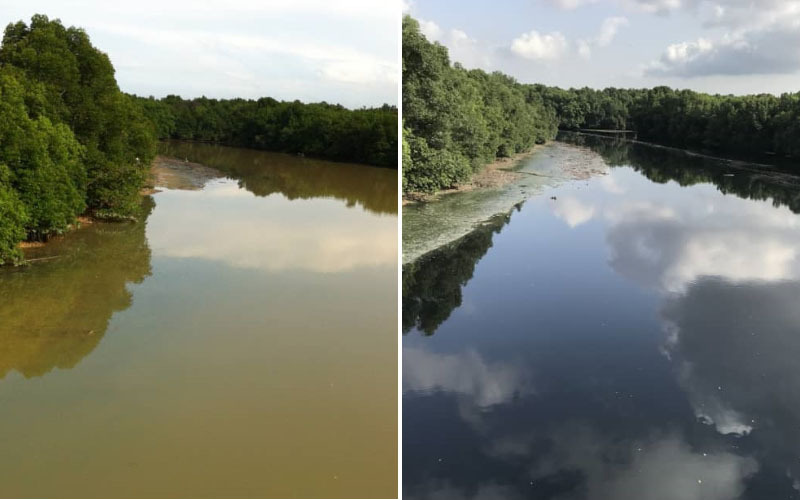 Johor MNS vice-president Vincent Chow, who is based in Pasir Gudang, said his own studies on fish composition in the river showed that pollution there had in fact begun as far back as five years ago. “I wouldn’t say that the river is affected only by chemical pollution,” he told FMT. Chow, a registered ecologist, conducted water sampling at Sungai Kim Kim in 2014 and 2016. He said the water used to be clear and full of fish. He compared this to the situation now, where the water in two-thirds of the upper stretch is like “thick black sauce”. He said fishermen no longer venture upstream as the water is too shallow. Even worse is the stench – “nothing but hydrogen sulphide or rotten eggs smell”, he added. Some prawn farms in the vicinity have also closed down as the water quality has affected their business. Chow said he had raised the issue of pollution there on a regular basis but nothing came of it. “Nobody cares,” he said. “The previous government didn’t want to engage with stakeholders. They didn’t want to talk to NGOs to find a way to tackle the problem. It was reported yesterday that 1,906 individuals have been affected by toxic fumes from Sungai Kim Kim, with 276 cases referred to the Sultan Ismail Hospital in Johor Bahru. The fumes were said to be caused by chemicals illegally dumped into the river. 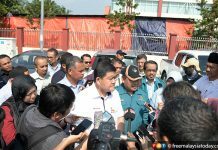 All 111 schools in the Pasir Gudang area have been closed down, along with 92 kindergartens and nurseries in Pasir Gudang, Tebrau and Tenggara. No deaths have been reported although 12 victims are being treated at intensive care units. Chow questioned the origin of the chemicals, asking how the factories allegedly involved had obtained them. “Were they imported? We want to know what they were doing with the chemicals,” he added. 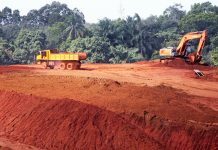 And although authorities have arrested the owner of a tyre recycling plant in Kulai, Chow said the factory processes there are nothing new. Noting that the Department of Environment had produced its report on Sungai Kim Kim in just two days, Chow asked how thorough it could be. “It’s impossible to get results so quickly,” he said. 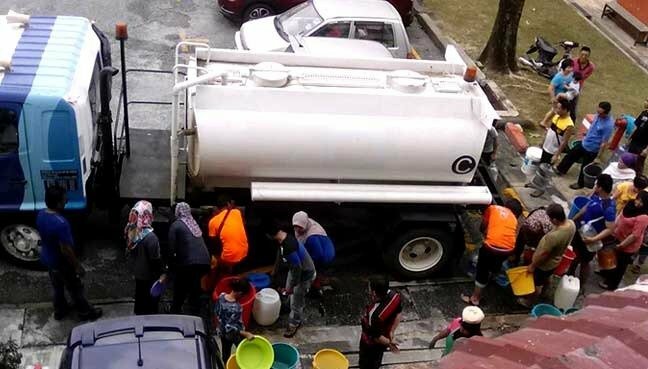 Water quality and modelling specialist Zaki Zainudin agreed that pollution had been an issue at Sungai Kim Kim for a while now, saying locals had discovered discharge in drains back in 2012. Zaki, who did water samplings in 2012 and 2017, added that Sungai Kim Kim also receives discharge from a sewage treatment plant upstream. “It doesn’t look to be functioning well. On top of that, Sungai Kim Kim is tidally affected, which means it is more sensitive to pollution input. He recalled the results from his 2017 water sampling which showed that the oxygen level was almost zero. “I took two pictures of Sungai Kim Kim, one in 2012 and another in 2017, at the same location. About 2.43 tonnes of chemical waste was collected from Sungai Kim Kim on March 7. The chemicals are believed to have been scheduled waste in need of proper disposal due to their hazardous nature.